A luxurious, multifunctional cream containing a trilogy of peptide complexes – Matrixyl® 3000, Trylagen® and Matrixyl® Synthé 6® – additional moisturisers and vitamin E. This formulation may assist in maintaining the skin’s visible youthfulness by giving it an age-defying boost. The skin is ultimately left looking younger and smoother for longer. Helps to firm, smooth and moisturise the appearance of your skin to keep it looking beautiful and youthful. Assists in protecting skin from losing its firm, smooth and plump appearance. If you are using Skin EssentiA®, apply Avance Moisturiser and follow with your recommended Environ vitamin A moisturiser. 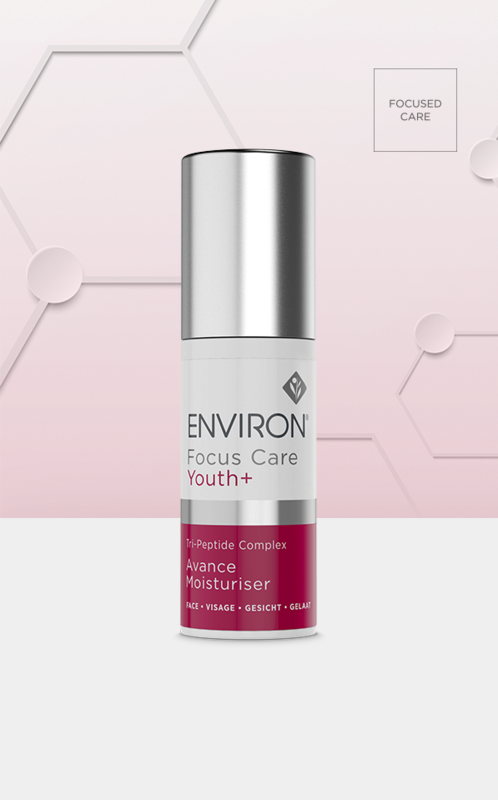 If you are using Youth EssentiA®, apply your recommended Environ vitamin A serum and follow with Avance Moisturiser.